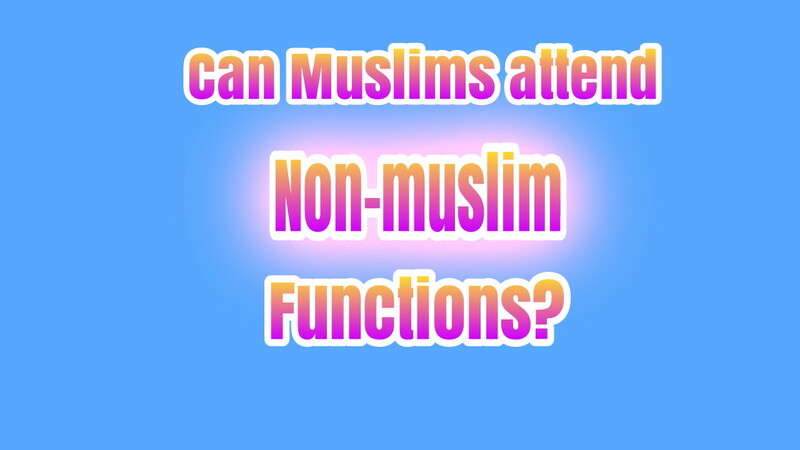 Uncategories Can Muslim attend non-Muslim functions? Can Muslim attend non-Muslim functions? 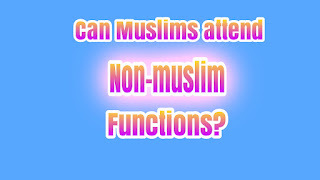 There is no harm in attending non-muslim functions as long as you do not committ any act that violates the rules of ISLAM like eating non-vegetarian food which is not halal, or eating something which is not allowed to be eaten by Muslims in ISLAM. Muslims should not eat any food on which anyone's name is written as QURAN clearly meantions it as haram. If someone offers you alcohol its haram. So, you can attend any function of any religion or cast as long as you do not committ or perform anything which is against rules of ISLAM And is not allowed in ISLAM.